The Minnesota Legislature is scheduled to begin January 8. Will sports betting be part of the discussions that materialize in bill form during the session? It’s safe to call it a coin flip right now. State Rep. Pat Garofalo, a Republican, told US Bets on Wednesday that he’s working on putting a bill together, and he could potentially introduce it during the upcoming session. Garofalo, who was re-elected to Minnesota’s House last week, said he’s now focused on gathering stakeholder positions. Garofalo said nothing is going to happen if there’s discord on the issue. “Without consensus, we’re not going to be able to pass a bill,” he said, but he added that he feels “optimistic” about his chances. Garofalo won’t push a bill that the tribal casinos are opposed to. Minnesota has 11 federally recognized Indian Tribes that own and operate 19 casinos and related ancillary facilities across the state, according to the Minnesota Indian Gaming Association. Each tribal group has its own compact with the state. Garofalo said Minnesota sports betting legalization won’t be either easier or more challenging thanks to the state’s robust tribal gaming industry. He said it would just be “different” than states without tribal gaming. Earlier this year, a draft of a sports betting bill was leaked to local media, according to Garofalo. In May, following reports of the legislative discussions, he posted the draft to his Twitter account, the same day the U.S. Supreme Court overturned the federal sports betting ban. Minnesota sports betting is long overdue. Back in 2002, a Republican state representative said sports betting was the most common form of illegal gambling in Minnesota. The black market has only grown since then. According to Garofalo, that is the single biggest reason for legislation. “Sports gambling is very popular in Minnesota,” he said. “That’s probably the biggest driver, the sheer popularity of it.” Garofalo added that regulating the activity is more about protecting consumers than creating a windfall for state coffers. Last month, sports betting was reportedly a hot topic during “startup week” in the Twin Cities. “The landscape for sports betting is rapidly changing,” Garofalo said of sports betting regulation in other states. Minnesota companies are already eyeing the opportunity to join the nascent industry. In 1995, the attorney general of Minnesota told the legislature that challenging the Professional and Amateur Sports Protection Act of 1992 likely wouldn’t be successful, according to a 2005 state report on the gambling industry. The year prior, state lawmakers requested that the AG weigh in. About 15 years later, New Jersey began what would turn out to be a successful legal challenge to PASPA. In June 2017, the U.S. Supreme Court agreed to hear the case. In May 2018, the law was struck down. The stakes were higher for New Jersey, thanks to Atlantic City, but Minnesota has long seen the benefits of regulating the activity. In addition to the tribal casinos, Minnesota has two commercial racetracks that offer limited gambling. Those facilities, regulated by the Minnesota Racing Commission, would also need to be on board with the state’s plans for sports betting. According to a 2017 Oxford Economics study, a Minnesota sports betting white market could see $5.3 billion in annual handle and nearly $350 million in gaming revenue. That assumes mobile adoption and a 10% state tax rate. Garofalo said that mobile/online would be part of the state’s potential sports betting industry. A tax rate of 15% shrinks those projections to $4.4 billion and $313 million, respectively, according to the study. The state should benefit from being home to an NBA franchise, as the league has long been relatively progressive when it comes to wagering. In 2015, the Minnesota Timberwolves forged a partnership with DraftKings, which now has a licensed New Jersey sportsbook. In September, a state poll showed that Minnesotans are split on regulated sportsbooks, though the support is growing. Minnesota’s House of Representatives found that 41.6% of polltakers opposed white market sports betting, while 40.7% supported it. Nearly 18% had no opinion or were undecided. Minnesota has about 4.2 million adults. Based on the poll’s findings, Minnesota could have about 1.7 million people with an interest in wagering on sports. The margin between support and opposition was razor-thin, but it was actually a huge improvement over a 2017 poll. Only 30.6% of respondents said they favored regulation, with 55% in opposition. In late 2017, months ahead of the 2018 Super Bowl in Minneapolis, law enforcement boosted its efforts to curb illegal gambling. A record $158.5 million was bet on the game in Nevada’s regulated sports books, but that was only a small fraction of a $4.6 billion black market. Back in 2012, in an effort to capture some of that illicit market, Minnesota lawmakers approved sports “tipboards” (which resemble those “squares pools” or “box pools” commonly found at Super Bowl parties) for licensed charitable organizations. However, there were concerns that they were too similar to a traditional sports bet. Those games were given a green light thanks to the PASPA ruling. Tipboards don’t generate any tax revenue for Minnesota. Traditional sports betting can directly generate about $35 million annually for state coffers, under the scenario in which there’s mobile adoption and a 10% tax rate. 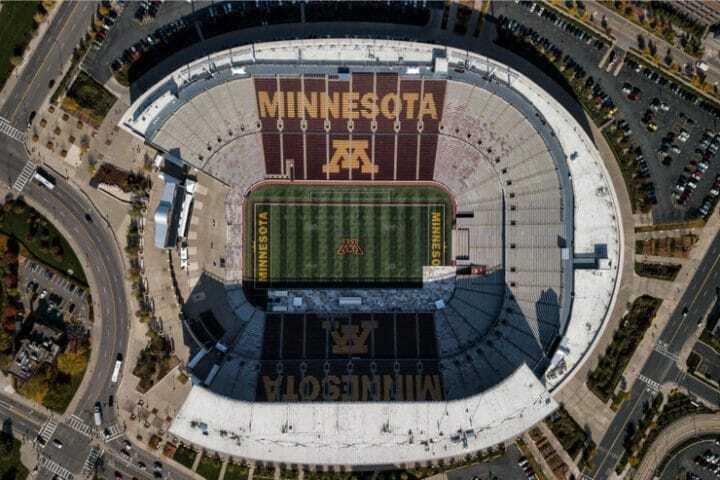 The tax take for Minnesota could nearly double when considering the total economic impact of legalized sports betting, according to the Oxford Economics study.